Next year the Washington State Department of Transportation expects gas-tax revenues to rise by 0.9%. It expects its construction costs to increase by 2.6%. The year after, it expects gas-tax revenue to increase by 0.7%. It expects construction costs to increase by 2.7%. Same story the year after that: Gas-tax revenue up 0.6%, construction costs up 3.1%. In a state where the vast majority of money for highway construction and maintenance comes from the gas tax, you can see a problem developing. Costs are rising a lot faster than revenues. And the 49.4 cents you pay to the state for each gallon of gas isn’t keeping up with the costs of the work that needs to be done. “Inflation that we have forecasted is higher than these motor-fuel growth rates of less than 1 per-cent,” said Lizbeth Martin-Mahar, the Department of Transportation’s chief economist. It’s a problem that will only get worse in the future as cars get more and more fuel-efficient and, eventually, revenues begin to actually decline. It’s also not a problem that has sneaked up on any-one. The Washington State Transportation Commission has been studying it since 2012 and is now recruiting volunteers to test a possible solution. Beginning early next year, the state will start a pilot project in which 2,000 volunteers pay a mock tax on the number of miles they drive on Washington state roads, rather than on the amount of gas they use. The theory behind the gas tax is simple: Those who use the roads pay for their construction and upkeep through gas taxes. It has distinct advantages: It’s very cheap to administer — less than half a percent of revenues are spent collecting the tax — and if you’re buying gas it’s almost impossible to avoid paying the tax. But it also has drawbacks: Someone driving an electric car or hybrid puts about the same stress on the roads as someone driving an SUV, but by using less gas or no gas, pays far less toward maintaining those roads. And, as more cars get more and more fuel-efficient — eventually even gas-free — the state will have less and less money to fix the roads. 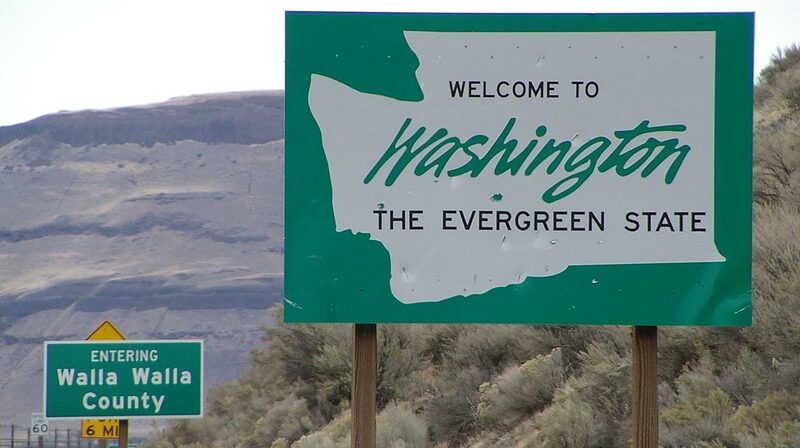 The average car in Washington currently gets 20.5 miles per gallon, according to Transportation Commission research. The state gas tax brought in more than $1.6 billion last fiscal year, after accounting for refunds for things like gas used by farm equipment. Griffith stresses that a road-usage charge would replace the gas tax, not be in addition to it. Participants in the upcoming pilot study won’t be paying actual money yet, but the planned rate is 2.4 cents per mile, which equates to the current gas-tax rate for a car with average gas mileage. They’ll have a variety of options to “pay” the tax: By sending in pictures of their odometer or having it read at a Department of Licensing office, by using a smartphone app to track miles, or by plugging a mileage meter into their car. The mileage meter comes in two options — one with GPS that ensures you’d be charged only for miles driven on Washington roads, and one without, that simply tracks mileage, an attempt to allay surveillance concerns. With no state income tax and the nation’s second-highest gas tax, Washington is unusually dependent on gas-tax revenues for highway work. But it’s not the only state looking at switching to a so-called road-usage tax. Washington is using a federal grant to fund the pilot project, and six other states have received similar grants. Oregon already has about 1,000 volunteers who are actually paying a road-usage tax, using a mile-age meter instead of paying the gas tax. California concluded a nine-month pilot program in March, with about 5,000 participants testing out various methods of recording mileage. About 85% of participants said they were satisfied with the pilot, and nearly three-quarters said the road charge was fairer than the gas tax, according to surveys. And yet, the push for a road-usage charge to replace the gas tax — “to impose a tax on every mile you drive,” as the Washington Policy Center, a conservative think tank, put it — may be an uphill battle. A June poll, conducted in advance of the pilot program, found that 58% of respondents opposed a road-usage charge in Washington.